Join Tara for this class inspired by tags designed & taught by Tim Holtz. 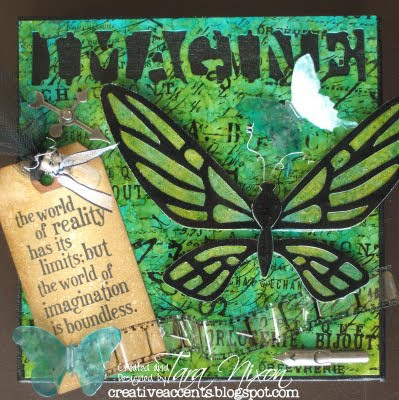 You'll create a 6x6 canvas using Ranger Alcohol Inks on a variety of surfaces. Your canvas will include stamps, die cuts and embellishments as well as a stamped sentiment & colour scheme of your choosing. Please sign up at the store by Thursday, Sept 15 to ensure your spot! Oh, my, this looks INCREDIBLE!!! Can you offer it again, just for me?